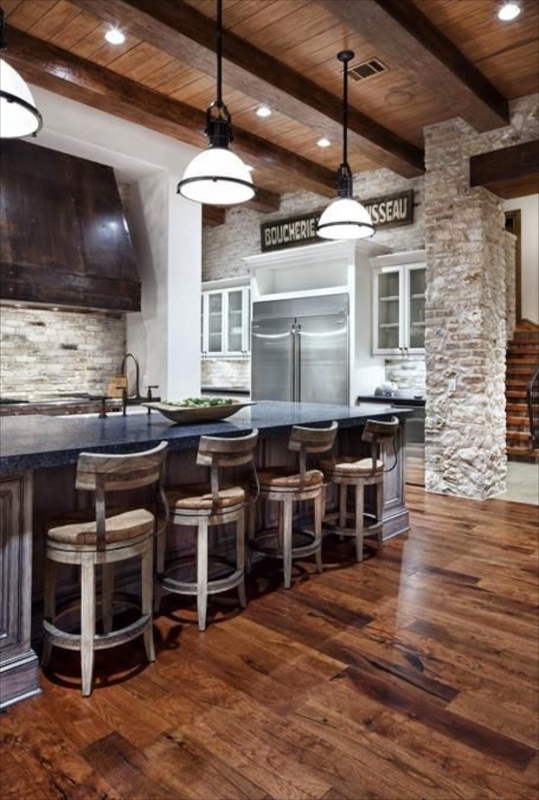 Although of a rustic texture, stone and rock can add dimension to decor from rustic to modern, cottage to contemporary and traditional decor. 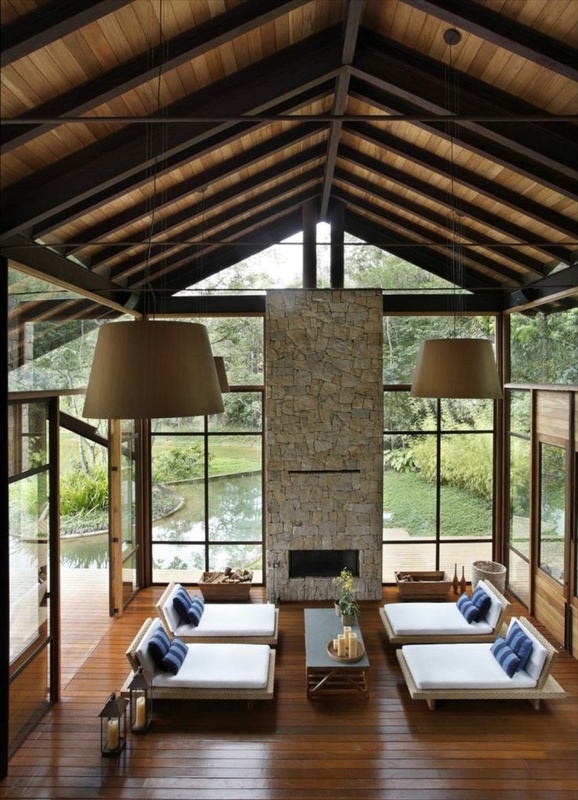 Stone brings nature inside providing a natural, organic and eco friendly presence. There are colors and textures to match almost any setting and decor, while still allowing one to remain true to their personal style. Rocks are more appropriate in a rustic or country setting, while stone is suitable for most decor styles. Just keep in mind that the best choice is to use a stone that is locally or regionally quarried. For example, using a easily recognizable stone native to Texas may not be suitable for a New England farmhouse, particularly on the outside. The newer thin or stone veneers make all regional stone types more easily available, but make choices appropriate to the style of your home as well as what you are personally attracted to. 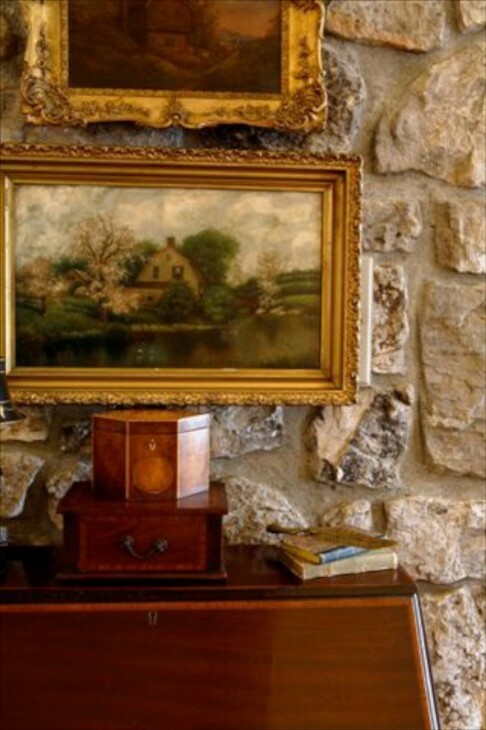 Below are examples of stone and rock used in the interiors of a home. I will do a post on using rock and stone on the exterior in another post, as well as in kitchens. In this farmhouse stone covers the floor and a door surround, providing a warm and textural contrast to the bright whet walls. What a bright contemporary pre-entry and foyer, despite the black steel door and the stone walls. I so love the sky window and plan on incorporating it in another home. You can also see the same sky window in the covered pre-entry. Art work takes on additional prominence against this wall. The stone fireplace adds a lot of visual weight to an already “heavy” rustic room with its arched trusses. Warm and cozy. The chandelier and the mantel are appropriately sized for the room, something that is so often not done in the best way. The angled fireplace in this eclectic bedroom adds visual relief between the two black transomed french doors on either side. 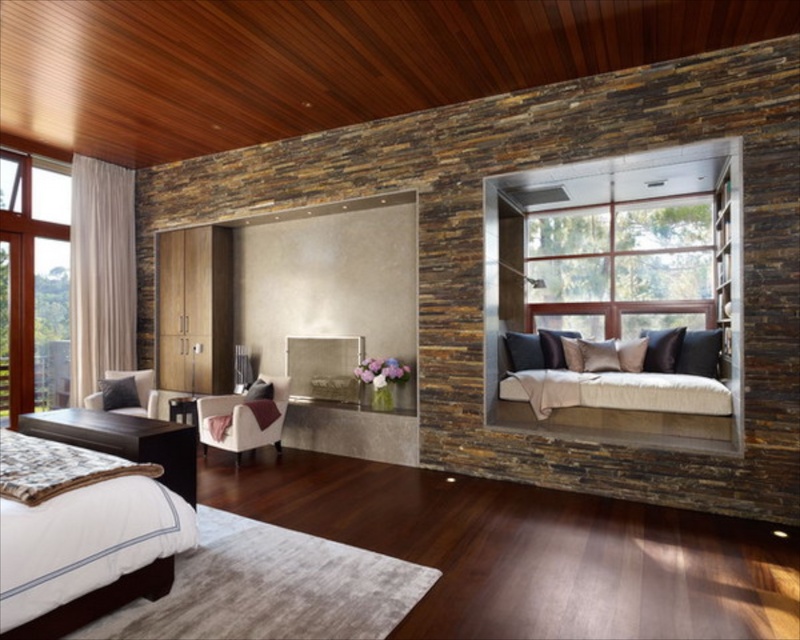 The balck headboard is perfect in this room. 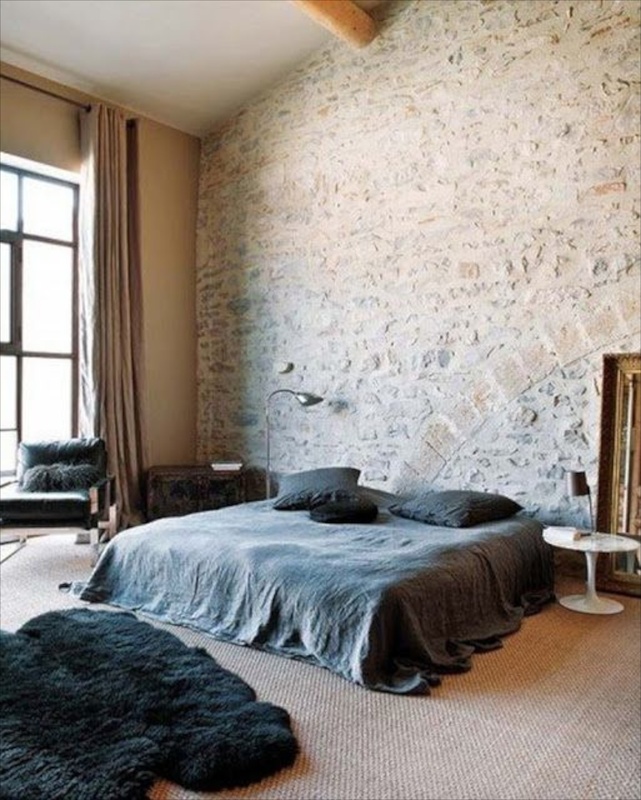 Creating niches is a good way to incorporate stone into a modern or rustic bedroom. I would love to style the niche for the TV area. With the lights above, it could be lovely at night. 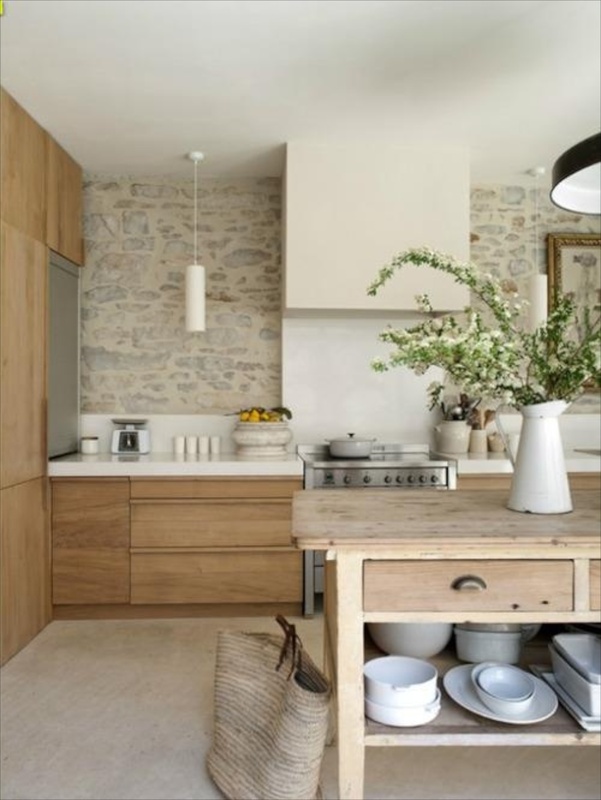 I like it when you cannot tell whether this stone wall in this contemporary kitchen was added or whether it was found behind a plastered wall during a restoration. Here the stone is muted with a light grout, which gives it a softer appearance. This is one of those spaces that you just have to fall in love with. It is raining here today, a light soft rain, and I can imagine opening the window to the sound of this light rain and enjoying a book. This is a beautiful application of stone in a great room. 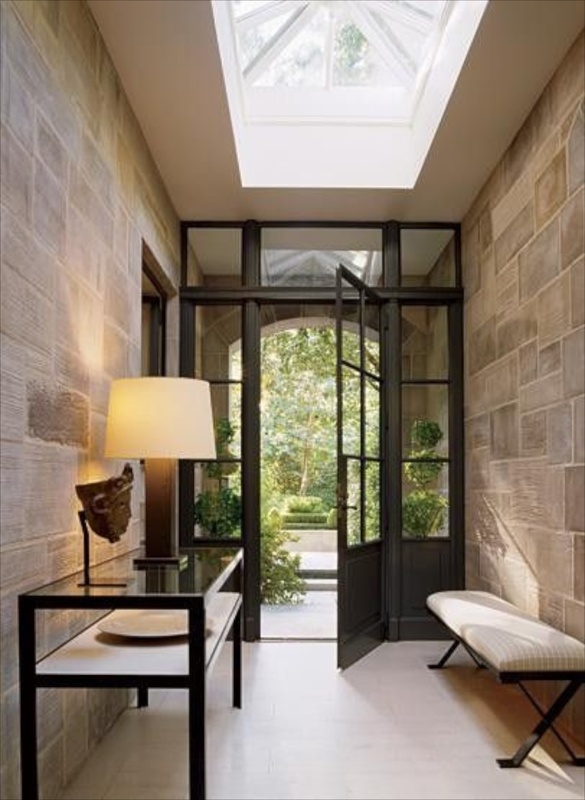 There is a lot of stone in here, but because they left the transom space above the plethora of french doors bright and white, and by using board and batten, it is balanced and inviting. Beautifully designed room. What an inviting and cozy eating space! Baskets, like the ones in this room, add additional texture and interest. 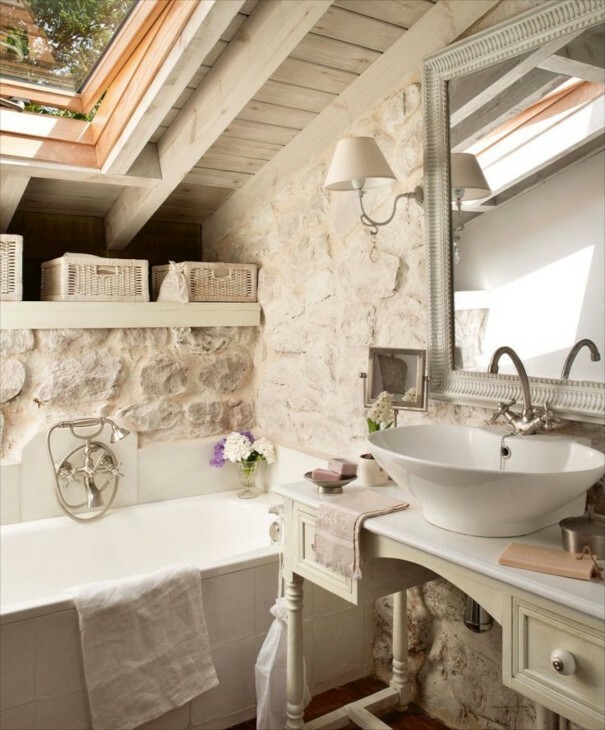 The choice of a light stones and grout keeps this small monochromatic bathroom bright. 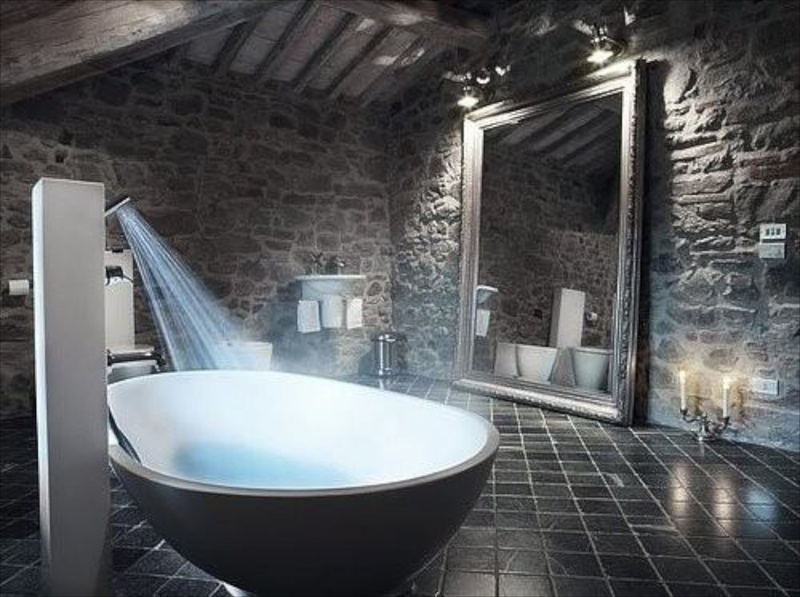 A delightful smaller bathroom. 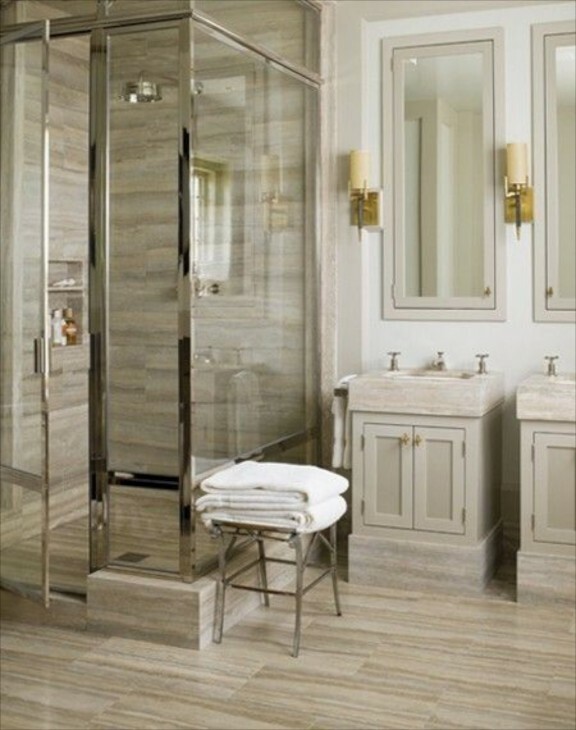 In this bathroom we see stone used in a smooth application, bone walls and floor, tieing in with the vanity color to create a soothing and elegant bath. The brushed brass fixtures are a wonderful choice for the sconces, even though the remaining fixtures are bright chrome. This cozy space calls for a snowy winter day! The stonework in here is terrific. Looks like it is done without mortar. In this case, a rock fireplace works well in this modern setting. The room is monochromatic, which gives it a light, airy feel. 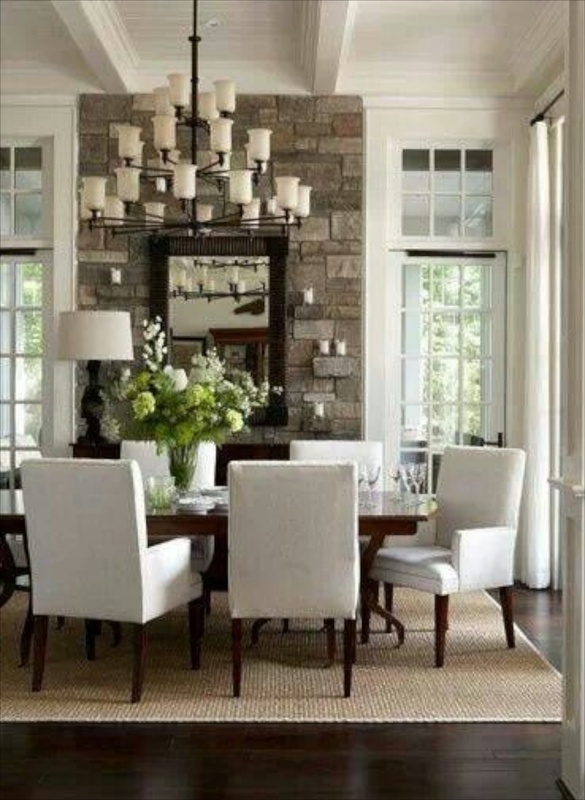 The tall windows framed by the drapery panels adds additional elegance and softness. A simple but sophisticated use of stone. What a delight to walk into dinner in this Asian inspired dining room, with the candles on the stone walls creating shadows and interest and romance. In this setting we see stone columns that carry into the interior from the fireplace viewed just outside, tiring the inside to the outside. What a terrific room for conversation! 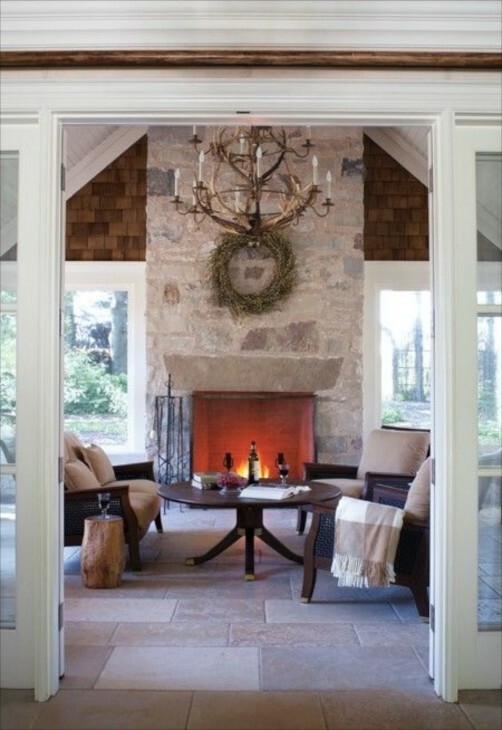 The choice of the large and very square cornered chaises mimics the linear look of the tall fireplace. The fireplace owning emphasizes this further. This stone is in a random pattern, and the grays and blues inspired the decor as we see in the light blue linen covered dining chairs. 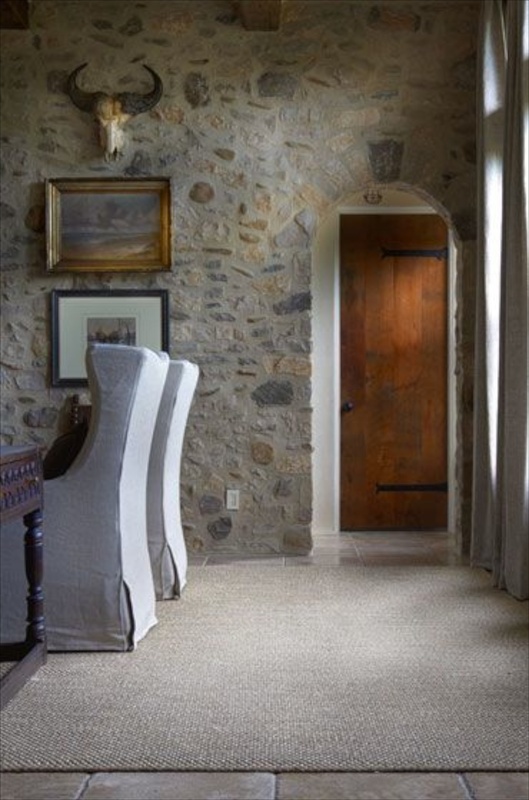 A light natural fiber carpet keeps it from becoming to dark and heavy. 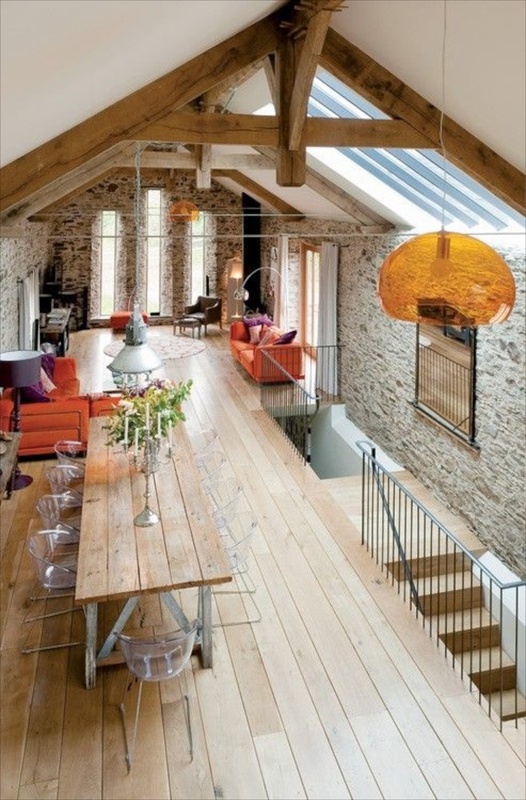 In this awesome loft space, stone covers all the walls, yet sky lights and long slim windows keep the space incredibly bright.The pops of orange, and the light stained floors are perfect for this space, and tie into the stone color. What an impressive use of stone!!! 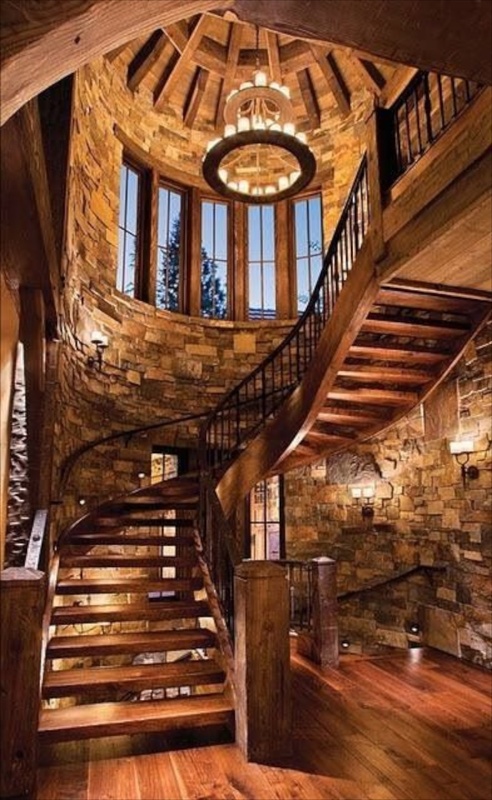 The curved, sweeping staircase in this curved foyer space is rustic and elegant. Love the lighting above and below. 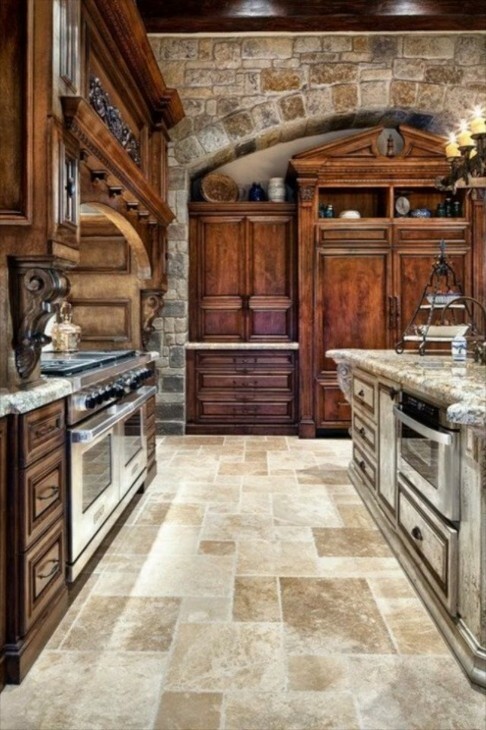 In this kitchen we see stone on the floors and walls. The consistency of the color palette keeps it from appearing busy. Even the granite countertops share the same colors. The stainless steel appliances also share in the fluidity of the color choices. Here we see a more textural application of stone. The wood ceiling and beams and warm wood floors keep it from appearing as a cold space. 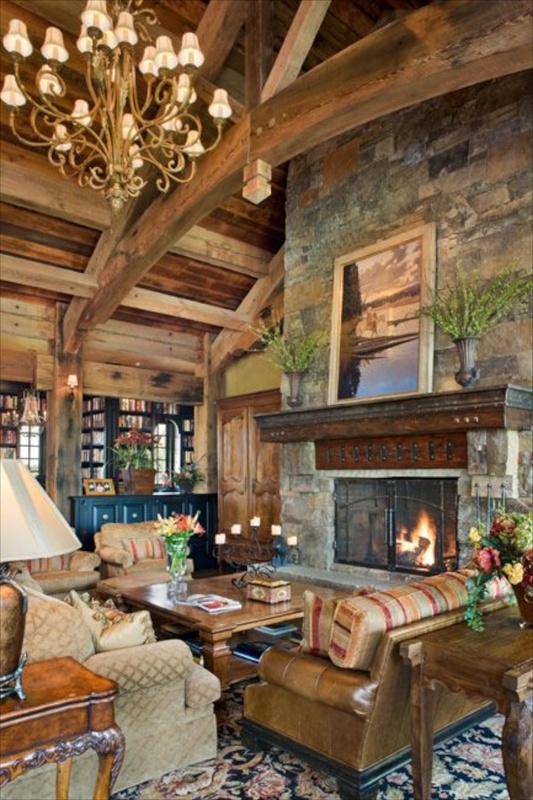 This elegant and sophisticated living room leans feminine despite the rustic wood trusses and solid rock walls. Touches of pink bring a sweet emphasis to the femininity. 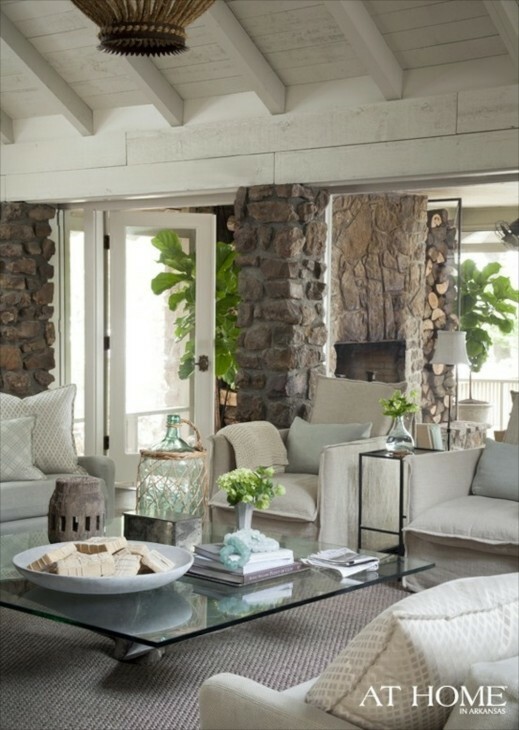 A sunroom with a huge fireplace that still allows for a visual connection to the outdoors. What a creative space! The large mirror reflects additional light. Sleek, rustic, sophisticated. 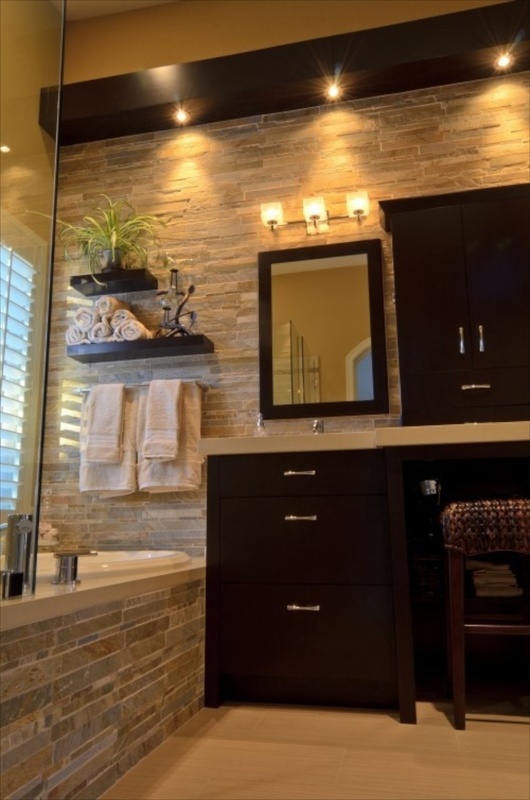 The shinier tile on the floor are a perfect foil to the rustic surface of the stone. I have a fondness for stone or brick used in unusual ways, such as this, where one wall creates the main style feature. I like that even the bench is stone. Nice sized shower. What a nice bathroom. A good example of how using stone can add so much to a design. Another foyer where the outside entry continues right into the foyer. It brings the organic nature of stone inside. Very nice. White and bright, the perfect contrast to the stone. 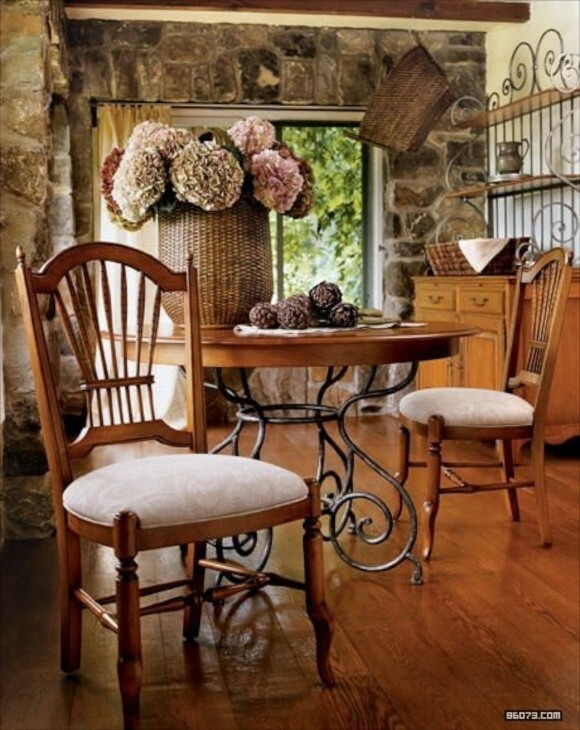 The formality of the masonry is a perfect compliment to the furniture selections. Charming bedroom. Notice the arch in the stonework. 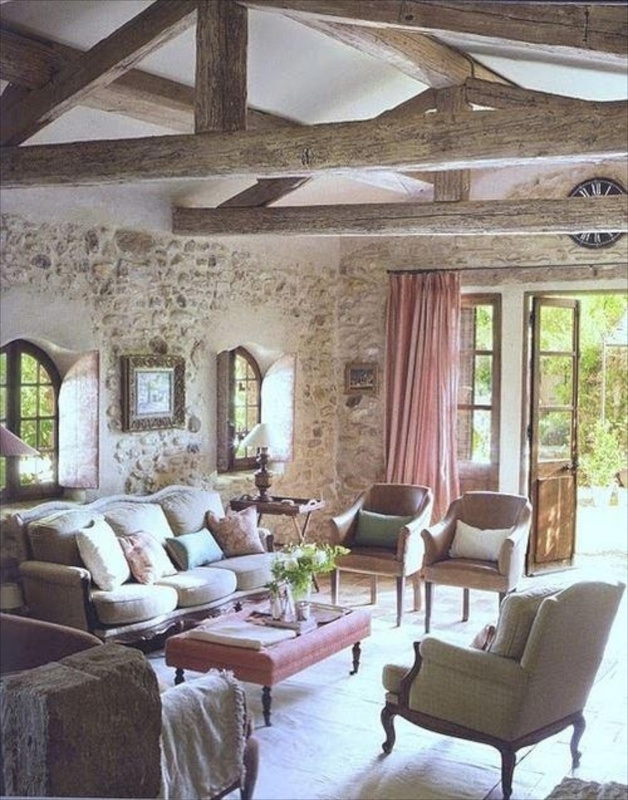 The loose fitting linen and drapery that reach the ceiling, soften the stonework. 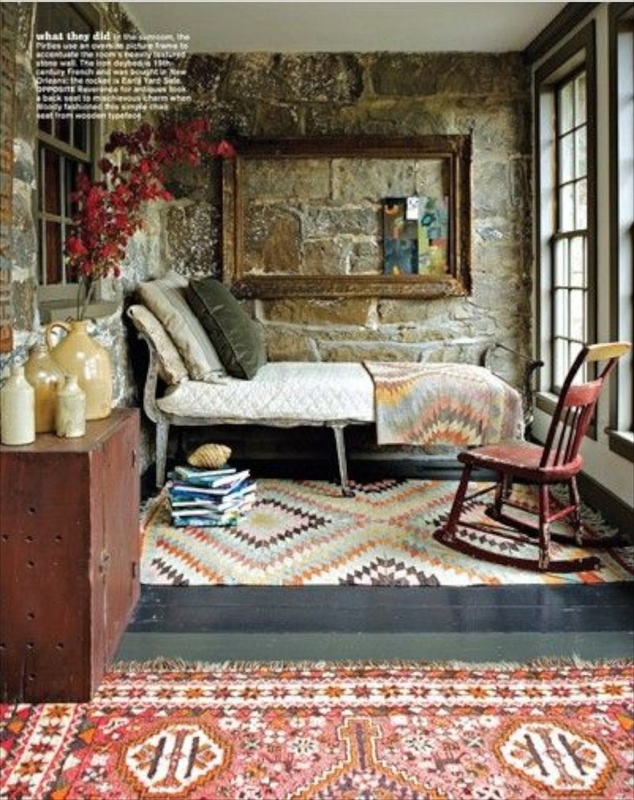 The natural sisal carpet is primo in this eclectic room. 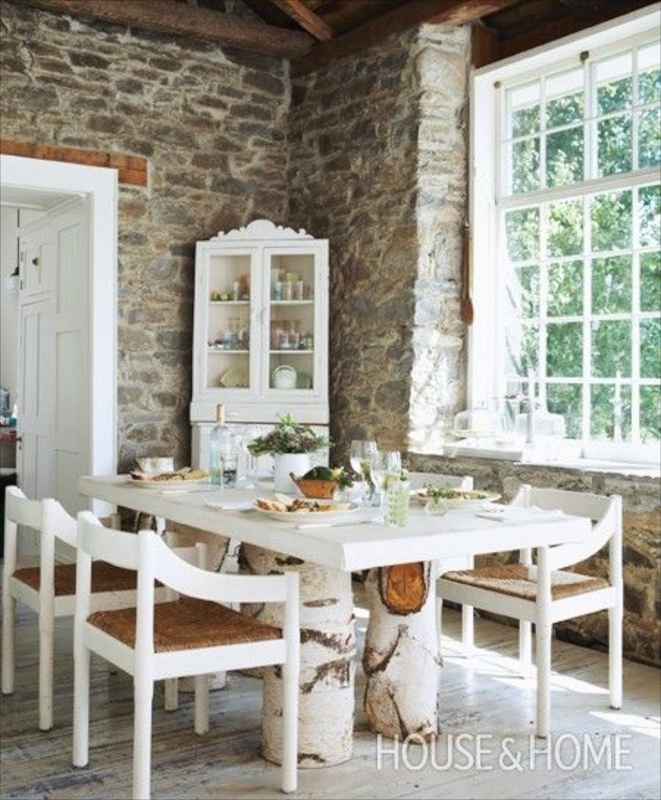 What a great merging of stone and wood, with the utilizating birch tree trunks as table legs. The window’s deep setting adds additional architectural interest. 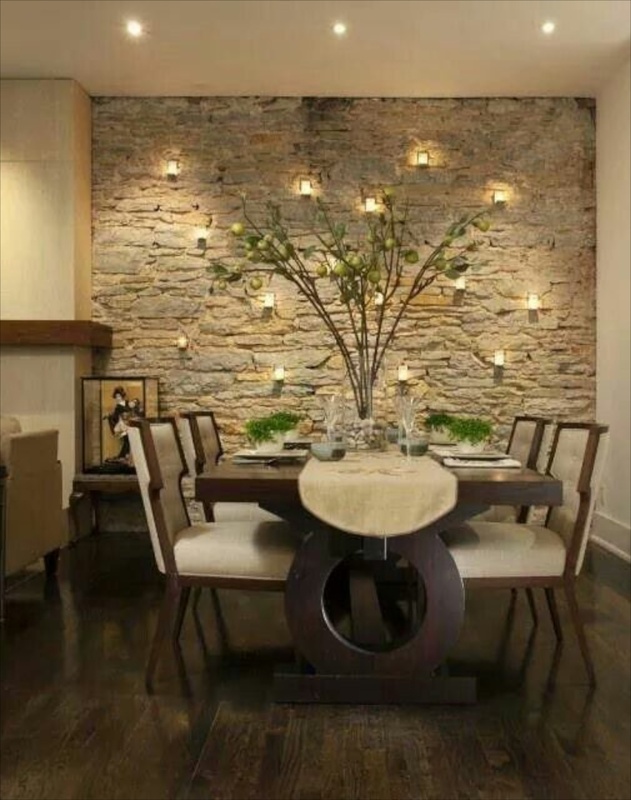 I really like stone, and have used it mixed with antique brick. It adds so much interest to a home, and its appeal is increasing due to the introduction of brick and stone veneers. In many applications it can be a do it yourself project as well. Stones looks beautiful when they are used for decorum and they become more attractive after using for home decor and interior. In the 29th photo from the top. There is a fireplace with stone I would like the name of if you have it. It’s in a dining room with white covered chairs. There are a few candles displayed on the stone as well. There is a large chandelier hanging in front of it with white shades. Thanks. I am a stonemason in NW Connecticut and 90% of my work is exterior. 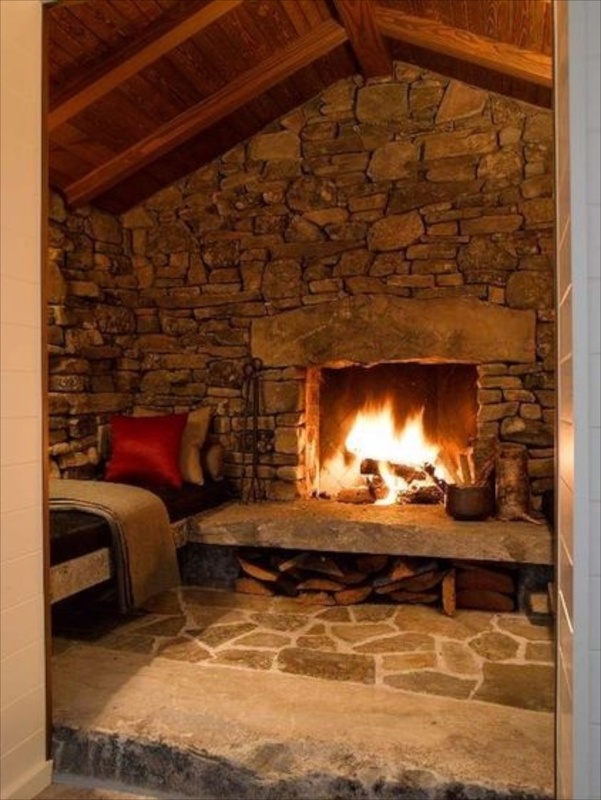 On the rare occasions when I can talk a customer or architect into incorporating stonework into the interior (beyond the fireplaces) they are invariably pleased and grateful for the suggestions. Thank you for your internet consciousness-raising. Hi Doug, Oh, you live in one of my favorite places! I enjoyed researching for the article, and wish stone was used more often, even here in the south. Thanks for taking the time to post a comment. Hope you will come back and visit. 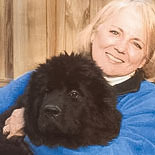 Hello Charisse, I stumbled upon your website one evening and stayed up until 2am browsing through your collection of Stone Inside the Home pictures! Stunning! 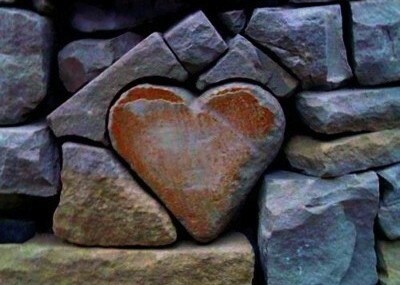 I can’t wait to share with my husband as we love inside and outside stonework! 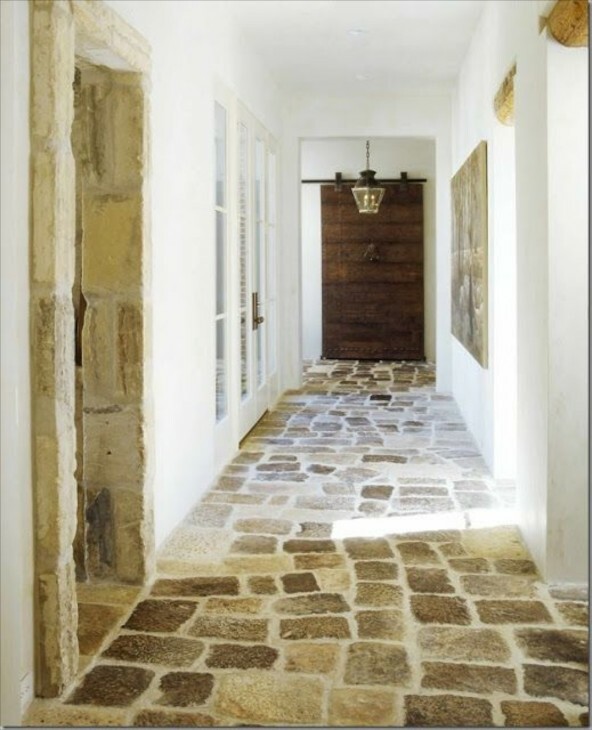 You did an amazing job of demonstrating how stone can give a home the appearance of being modern &contemporary, as well as, historic & rustic. We’ll definitely keep your site in our “Someday Dream Home” to build file! Thanks for sharing! Robert loves the staircase and many other photos like the kitchen with beautiful wood cabinets and the shower. Same with me. We went bananas over these pics! So glad both you and Robert enjoyed the post. I love stone and really get excited when I see new ways to use it, including in contemporary settings. Thank you for sharing the blog with your friend and glad she enjoyed it. Feel free to share it anytime. Oh such lovely examples of stone use! We love stone as well. 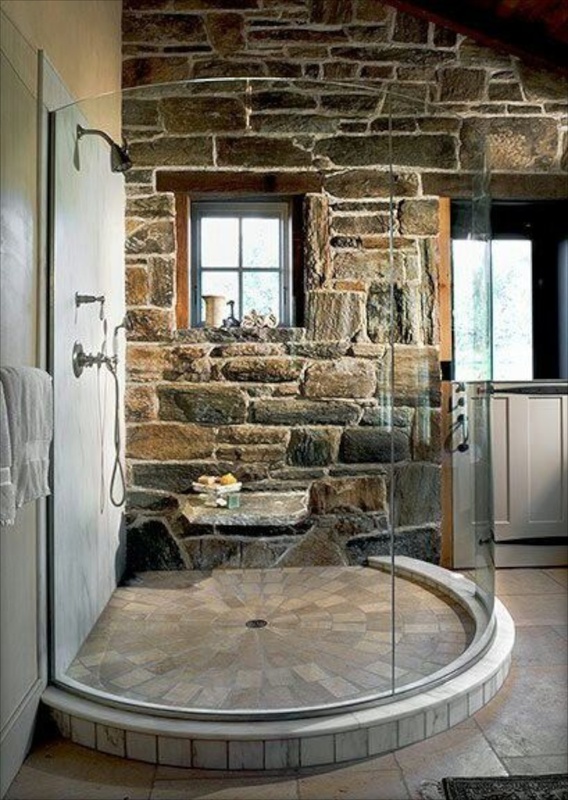 I love that shower with the stone bench and many other photos. Did not realize it could be so useful in the contemporary setting either. The organic look and feel is so fascinating to me. So creative. I introduced your blog to a friend at work yesterday. She loves it! Stone is really more versatile than most think. More and more contemporary applications are coming across my desk from my design magazines. glad you enjoyed.